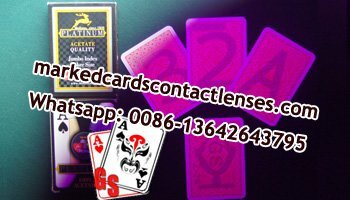 We have get the very good way to mark Modiano playing cards with invisible ink and sell the best marked cards for poker lenses to see here. 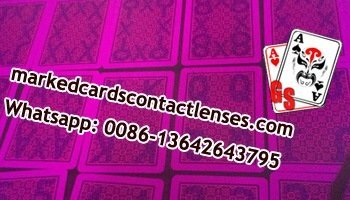 We supply best Copag marked cards for magic shows and poker games. 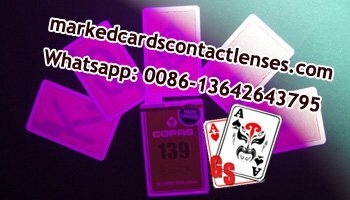 We can also mark your Copag playing cards with invisible ink marks. 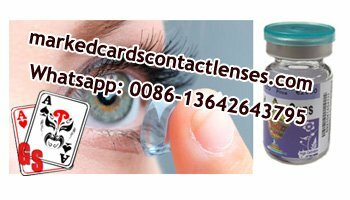 Any model of Fournier marked cards are available here in markedcardscontactlenses.com for marked cards reader to see the luminous marks. 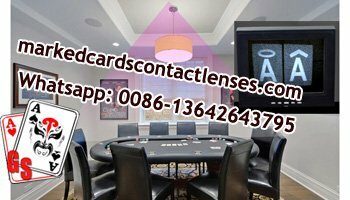 For Texas Hold’em cards, we can mark invisible ink marks on them perfectly for infrared contact lenses to see only. Our technicians mark the playing cards with lunimous ink kit by advanced machine. 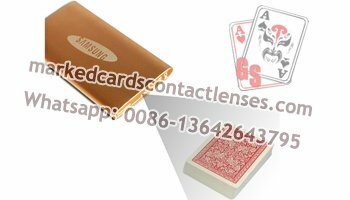 NTP playing cards are usually used for magic shows or poker games. 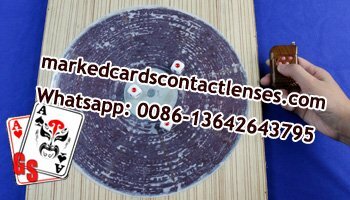 People like useing the marked NTP playing cards for the good quality. 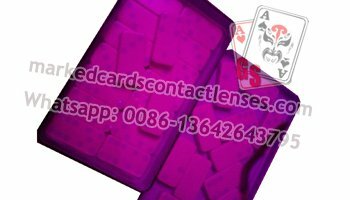 We mark all the original NTP playing cards that are imported from Europe, which make sure the marked decks is the right playing cards that people use originally. 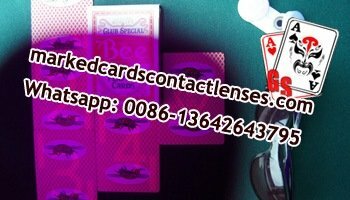 Bee playing cards can be marked well with invisible ink marks for marked cards contact lenses to see. The US BEE marked playing cards is quite popular use with invisible ink reader kit. And also, other model Bee playing cards can be customized to be the invisible ink marked cards well. KEM playing cards, including the KEM Arrow and Paisley, are said to be 100% plastic cellulose acetate that is virually impossible to mark or dent. 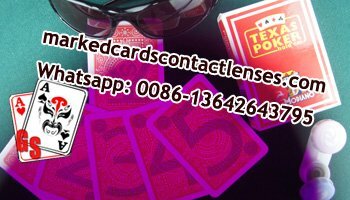 However, our technicians can mark the KEM cards well with specail invisible ink juice and machine after years of study and test. 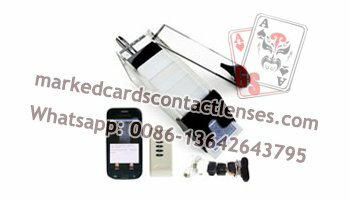 Invisible Ink marked cards reader mainly include the infrared contact lenses, marked cards glasses, IR filters and so on. 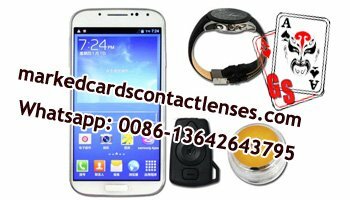 And invisible ink contact lenses is always the best and most popular devices to see the luminous marking cards. 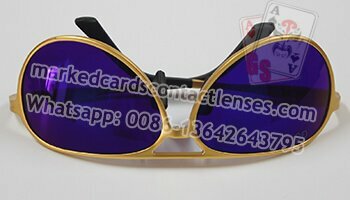 Aviator infrared sunglasses is a cool item to protect eyes from sushine that is popular use these days. It is really fashionable to wear such an infrared sunglasses to read the invisbkle ink marked cards in poker club or magic shows. AKK K40 ( K4 ) poker analyzers is a very practical analyzer for Texas and Omaha that come out to the market in 2016. K4 poker predictors have many advantages. The Baccarat scanning system works well with barcode marked cards to help you be the last winner. 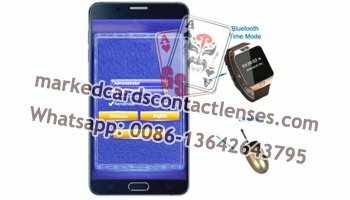 The whole set devices include the baccarat dealing shoe scanner, the invisible ink bar code marked cards and the poker analyzer such as AKK analyzer. The marked cards scanner dealing shoe looks exactly the same as other normal ones. You can not see any difference with the normal dealing shoes on the appearance. PK S708 is one of the latest model poker scanner analyzers recently. It has a more fashion and more beautiful looks than the earlier models. What is more, there are some necessary advantages of the PK S708 poker analyzer when comparing with other model analyzers. CVK500 poker analyzer recently come out into the market in 2017. 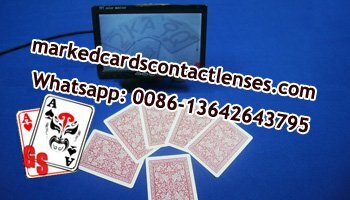 The high-speed and accurate scanner analyzer of CVK500 works very well in scanning marked cards and getting the winner hands in poker games or magic shows. 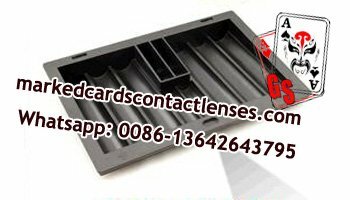 Chip tray is very good cover for installing scanning camera lens. 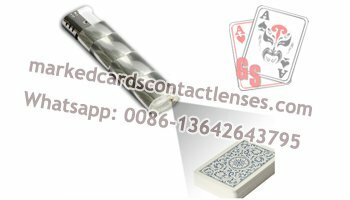 It is very useful and secret cheating device on the casino table to read the side marked cards for poker scanner analyzer. 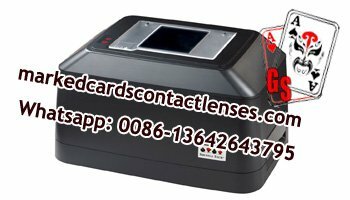 The poker cards shuffler to shuffle playing cards can be processed to get a spy scanning camera to scan bar code marks of marked playing cards. We all know that the lighters are used to get a fire. It is easy use and popular use everywhere. But do you know that the lighter can be installed with scanning cameras to scan barcode marked cards for the poker analyzer even the lighter is transparent? It is a wise choice to process a power bank with our imported high definition camera to scan bar code marked cards in the scanning system. The power bank scanner camera has the advantage of being greater distance and bigger battery of longer work. 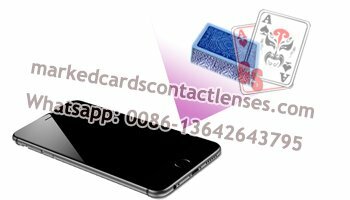 To meet meet of using the latest advanced phone to help in the poker games, our technicians produce the marked cards scanning cameras in different brands phones like Iphone, Samsung, Nokia and so on for reading marked decks for poker analyzer. We have many invisible ink. 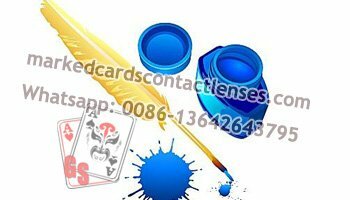 These invisible ink are mainly used to mark poker cards, dominoes, rummy cards and so on with luminous marks. They are excellent for poker gambling cheating or magic shows. With the marked dominoes, people can see the clear marks of the same numbers as that on the face when wearing the infrared contact lenses or sunglasses. However, people can see nothing different on the surface of the back between the normal clean dominoes and our marked dominoes. 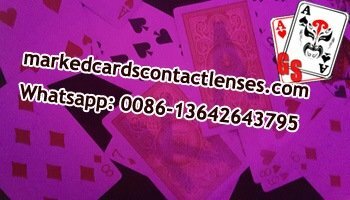 In fact, in addition to the contact lenses marked cards and bar code marked cards, we have also the IR marked decks. There are IR marks on the marked playing cards for only IR camera to read. With the IR camera lens on the ceiling lamp to see the IR playing cards on poker table, we can see the IR marks clearly on the screen like TV, computer or phone. Just like with the normal monitor, you can see every hand cards and all those on the table. The so called remote control dices means the special processed dices that can be controlled by the wireless control so as to get the wanted points. These remote control dices are processed by our skillful technicians. 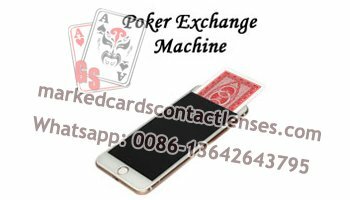 Phone cards exchanger is one of the latest playing cards exchanger nowadays. 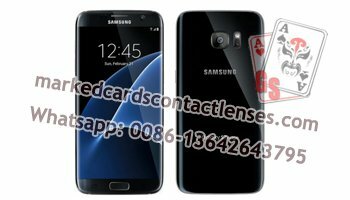 Just put this phone one the poker table or in the pocket, you can change the cards in your hand.